The diabetic crisis continues to grow around the world, but despite its prevalence, it remains an almost invisible disease. The month of November is dedicated to bringing awareness to this chronic illness and a sense of urgency about this growing public health crisis. According to the World Health Organization, the number of people with diabetes has risen from 108 million in 1980 to 422 million in 2014. In the United States alone, more than 29 million people are affected by diabetes, and 8.1 million of those are still undiagnosed. The American Diabetes Association (ADA) estimates the total national cost of diagnosed diabetes in the United States amounts to $245 billion, with 1 in 5 of all healthcare dollars being spent on care for those with diabetes. Today, the ADA estimates there 86 million Americans with prediabetes and 9 out of 10 of those people do not know they’re prediabetic. Early diagnosis and treatment are key to managing chronic health conditions, such as diabetes, and can reduce the risk of developing additional health complications, including neuropathy, kidney disease, and stroke. Type 1 diabetes accounts for only 5% of diabetes cases in the U.S. and there’s no known way to prevent it. Most Americans with type 1 diabetes are diagnosed in their middle teen years and must be on insulin injections or use an insulin pump for the rest of their lives. Type 2 diabetes makes up the other 90-95% of diabetes cases, usually associated with aging, obesity, family history, race and ethnicity, and lack of physical activity. A diagnosis of diabetes can be delayed and possibly even prevented by losing weight, practicing 30 minutes of physical activity 5 days a week, and healthy eating. Diabetes in any form can cause a host of complications, including neuropathy, skin and eye disorders, kidney disease, stroke, and gastroparesis. Incorporating A1c with the insurance screening panel is an effective way of testing for applicants who are at increased risk of mortality because of prediabetes or diabetes. Hemoglobin A1c is known as the “gold standard” for diabetes testing. It is FDA approved and current criteria by the American Diabetes Association (ADA) recommend utilizing A1c testing for both pre-diabetes and diabetes. Learn more about A1c testing from Betsy Sears. World Health Organization. Global Report on Diabetes, 2016. American Diabetes Association. Fast Facts: Data and Statistics about Diabetes, 2015. 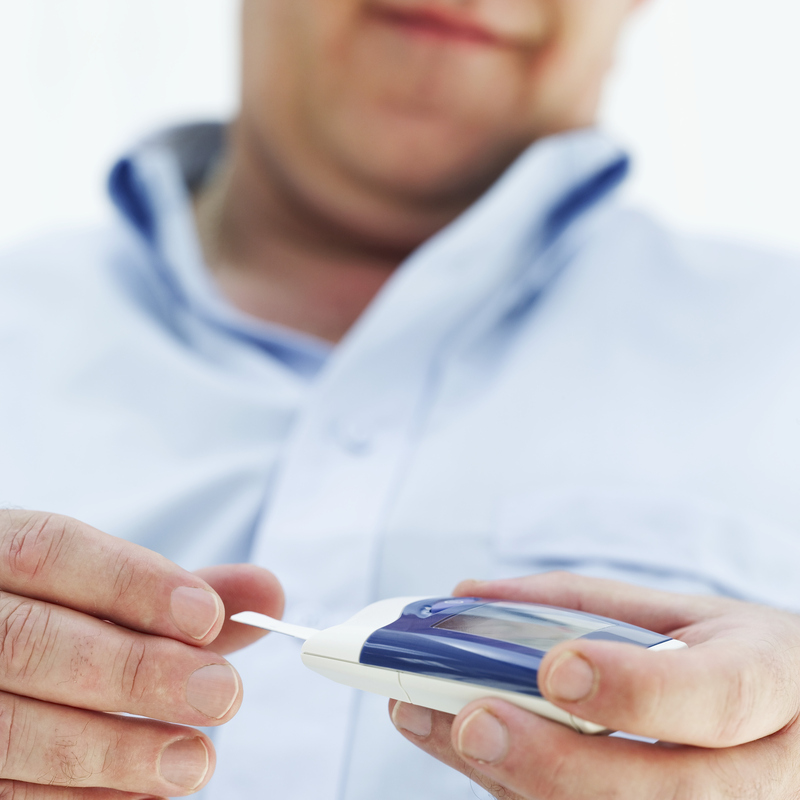 Diabetes Myths: American Diabetes Association®. http://www.diabetes.org/diabetes-basics/myths/. Published August 17, 2015. Accessed October 24, 2016. Centers for Disease Control and Prevention. Preventing Diabetes. Atlanta, GA: US Department of Health and Human Services; 2015.